No one achieves success alone. We all need a team to accomplish great things. Teams make movies, create songs, win championships, launch rockets into space, write software, design hardware, bring new products to market and turn around underperforming companies. The truth is we are better together and together we become a powerful team. When Alan Mulally stepped into the CEO role of Ford in 2006 the automaker had just suffered an annual loss of $12.7 billion and was on the verge of bankruptcy. However, in just a few short years he was able to turn around the company and deliver an annual profit since 2009. Many say it was one of the greatest leadership feats in history. While interviewing Alan Mulally for my new book The Power of Positive Leadership I asked him how he did it. He told me that when he became CEO he learned that Ford was regionalized and acted like they were a number of different companies instead of one company. Ford also had a number of leadership and teamwork challenges and suffered from a lack of clarity, accountability, focus and execution. Alan Mulally, who defines his leadership style as positive leadership, created a One Ford initiative to unite everyone in the company to become one team working on one plan to achieve one goal. He even created his own “Working Together” Management system (a simple set of 11 ideals, principles and practices) and Creating Value Roadmap (strategy and process) to get everyone to work together, focus on the process and implement the plan. Alan said everyone had to know the plan, embrace the plan and relentlessly work towards the plan. They had to be committed to the enterprise and each other. And they had to be accountable to the values and principles of the culture and to each other. Ford’s leaders, managers and employees answered Alan’s challenge and became One Team that saved Ford and tens of thousands of jobs, improved the American economy and delivered incredible results. How is your team doing? Are you One Team? Whether you’re a family, a school, a business, a new venture, a hospital or a sports team, share this article with your team and discuss ways you can become more united and more committed to the team and to teach other. No one achieves success alone. The more you work together the more you will accomplish together. P.S. If you want to read more about Alan Mulally's leadership and how to create One Team read The Power of Positive Leadership or American Icon by Bryce Hoffman. It’s one of the best business books I’ve ever read and all leaders should read it. Turn ideas into actions and tangible results! Utilize our downloadable accompaniment guides to help you take the principles from Jon Gordon's bestselling books and turn them into actions and results. For a list of available Action Plans, go here. 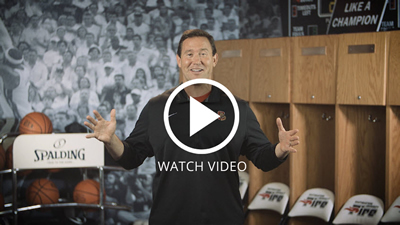 Perfect for individuals or teams, our video training programs feature Jon Gordon coaching you through specific strategies from his bestselling books. You can access additional tools here.